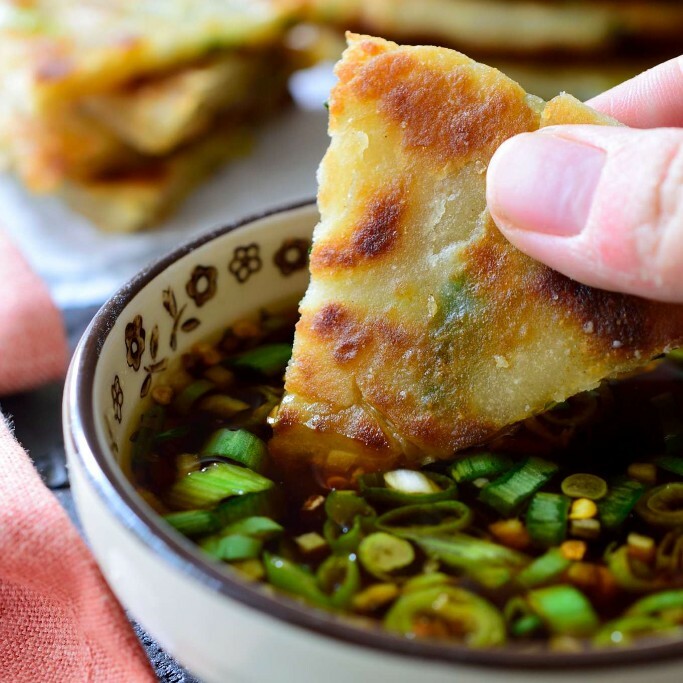 For the ultimate Asian-Inspired Thanksgiving menu, we've got just the line up for you. Drawing on rich, umami flavors from miso, mirin, sesame oil and tamari, there's plenty to love on this creative holiday menu. Plus, that Matcha Apple Pie for dessert is a surefire winner! 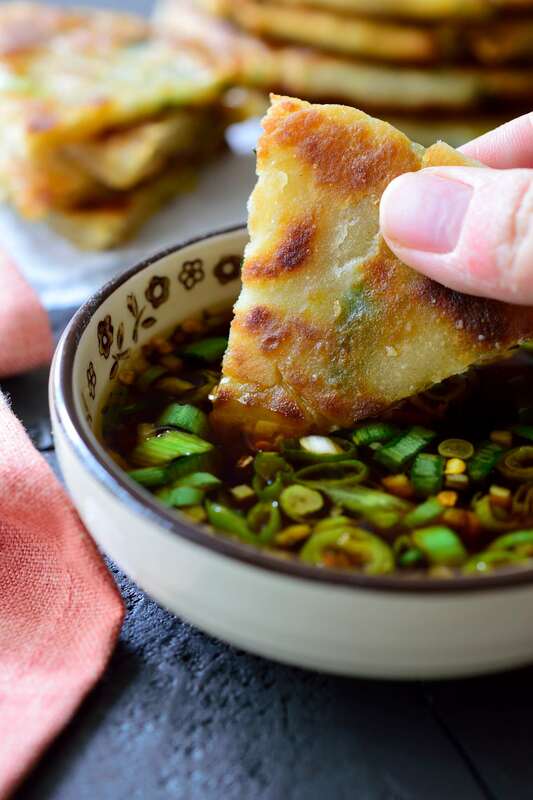 Crisp and full of flavor, these savory scallion pancakes will set your feast off on the right foot! 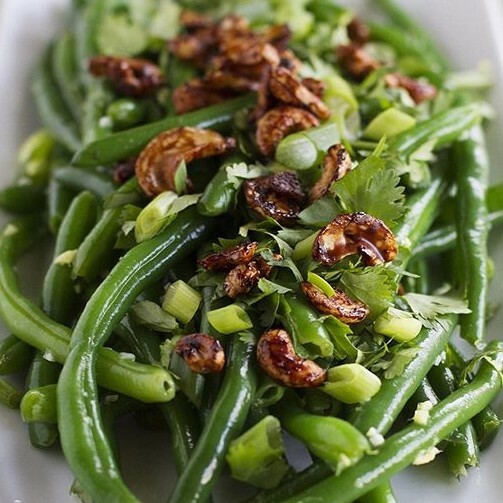 Crunchy blanched green beans are tossed with a savory dressing made from soy sauce, fresh ginger, garlic, sesame oil and rice vinegar and topped with toasted cashews. 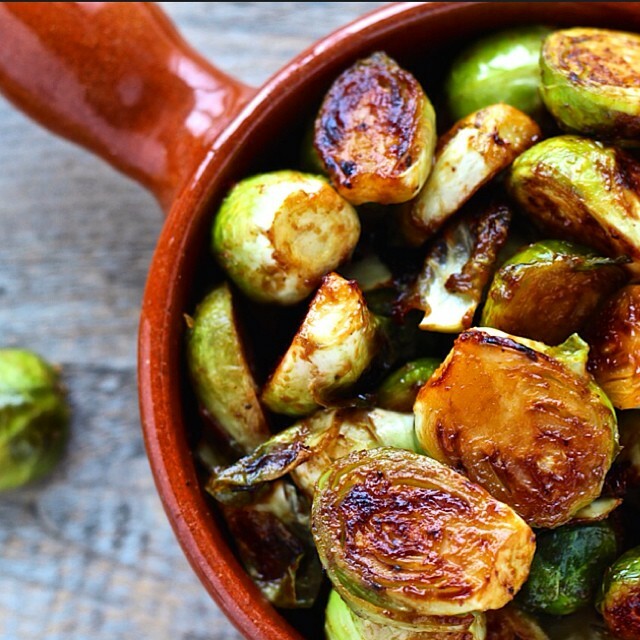 Roasting the Brussels Sprouts with miso, maple syrup and sriracha aids in the caramelization and amps up their inherent sweetness. 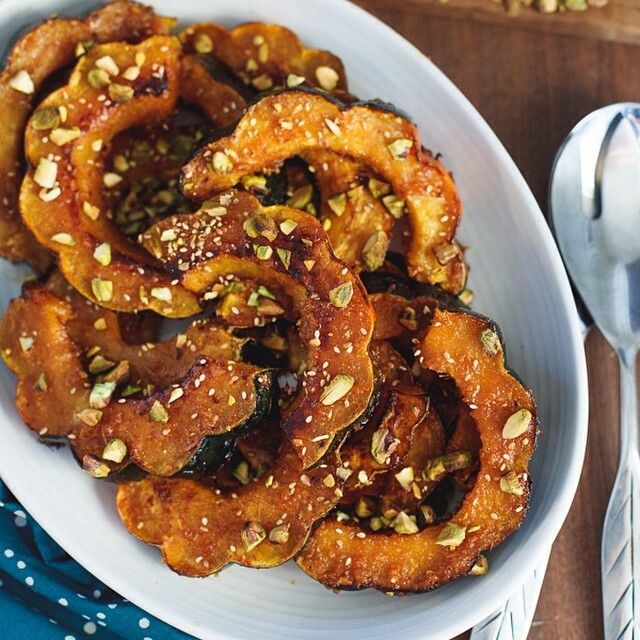 This roasted acorn squash is glazed with a mix of miso, brown sugar, ginger and mirin and topped with crushed pistachios to round out the sweet and salty elements. 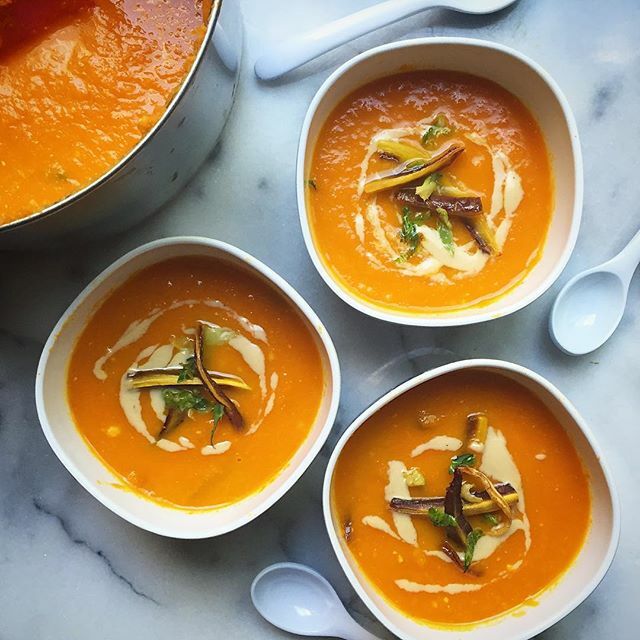 This sweet and creamy (dairy-free) soup is flavored with miso and drizzled with nutty tahini. This stunning turkey is perfectly golden brown thanks to the soy, miso and honey mix it marinates in. The same marinade is boiled down and used at the glaze towards the end of roasting time. 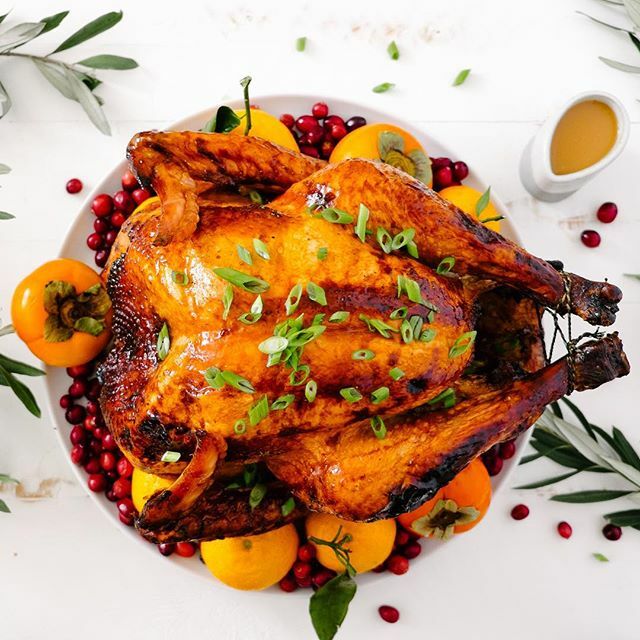 We love the use of oranges and persimmons on the platter with the turkey, it makes for a fun and festive presentation! Start making this pear shrub a few days before Thanksgiving. 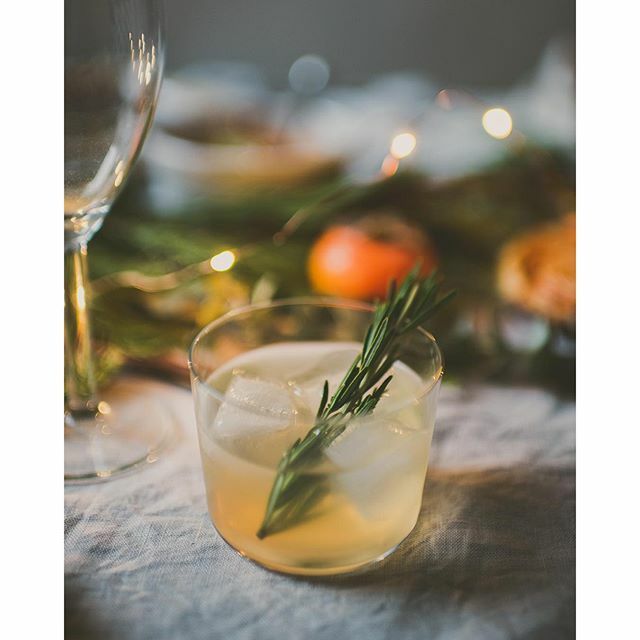 It’s great mixed with the gin and prosecco called for in the recipe, but works well with any spirit you have on hand! 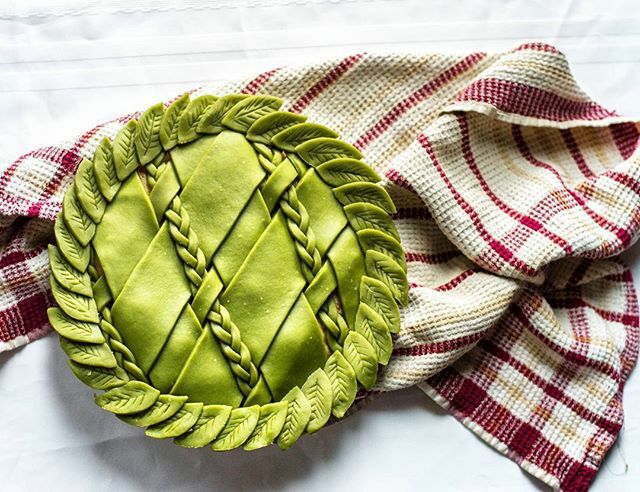 What could be better than classic apple pie paired with earthy matcha?